The taste is not really layered but it is easy to sip and without any obvious flaws. The buttery, sherry and spicy flavours are in a good balance and I would call this a dram one should quaff without too much thinking about it. Perfect to enjoy during a good conversation or card game but not really suited for "whisky analysis paralysis". Some water turns the nose surprisingly less interesting but smoothes the taste and finish. I like to nose it neat and prefer to drink it a little reduced at about 43% abv. 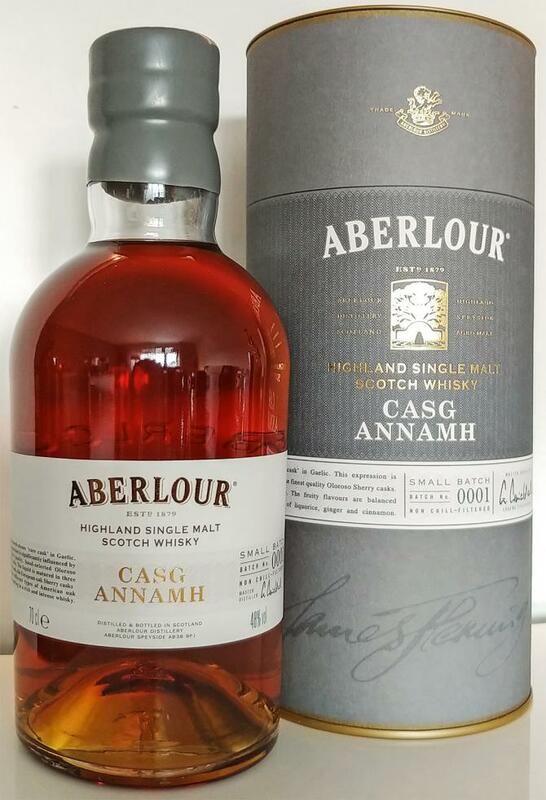 Much sweeter and fruity, candy influences, totally different from the Aberlours that I've drunk so far. Fresh! Apples, along with raisins, but also very floral, citrus too, at times just a hint of Dreft lemon. Peach too, and swims of Haribo sweets (cherries). Little pepper, sweet, caramel. A lot of peach, and again Haribo, especially the foam banana. Also coffee. Peach very strong again, slightly tingling, quite long, also some wood tones. Apples, and caramel. Really different from the A'Bunadh, not as sherried as I expected. 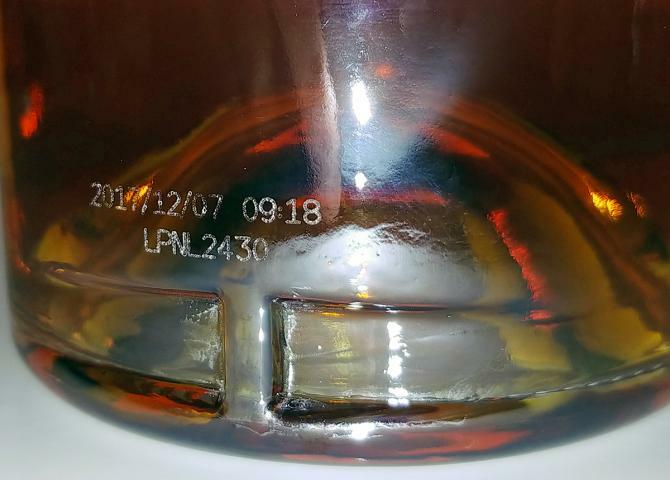 It contains considerably younger whisky than the 15YO, but makes up for that by a higher level of first fill and a higher ABV. Pear juice, peach, caramel and even a little banana. Caramel, peach, almond, coffee candy (hopjes), pepper and a little smoke. It actually benefits from a drop of water, which makes it fruitier. Vanilla, apple, caramel and peach. Young, oak forward and not very inspiring. Before the recent price hike, you used to be able get an Aberlour a'bunadh for this kind of money. The Casg Annamh is a poor replacement if you ask me. Young and fresh smelling, with some pieces of red apple, as well as caramel, candy cane, and pear, as well as some pickled lemon peel and sour peach candy. Again, the young spirit is noticeable, with a good amount of oak here as well. First some sweetness with marzipan and honey, but then quite spicy, with lots of pepper and cloves, as well as a hint of mint. Lingering cherry aroma and spices. The light fruits and spices make it quite interesting, if only the sticky would not be, which I do not quite like .. In the nose first fruity sweet, the sweetness goes quickly into the sticky .. could be an Irish again. 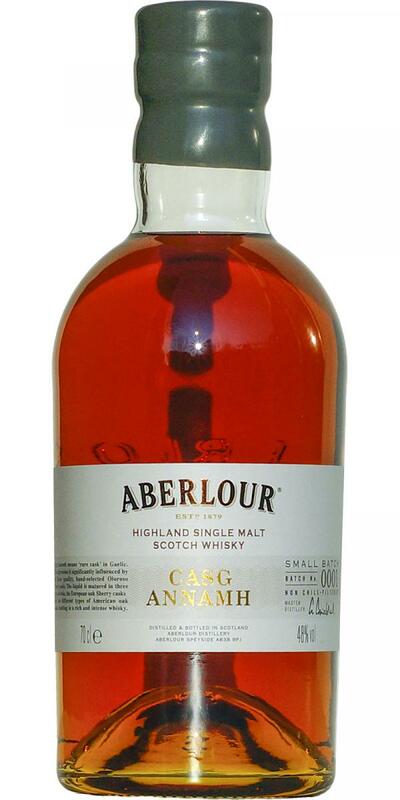 Interesting whisky with a beautiful and fairly complex nose on the flowery and fruity side. However the palate is quite punchy and rather rough (comparing to nose) with kaleidoscope of spices, which continue in the aftertaste. 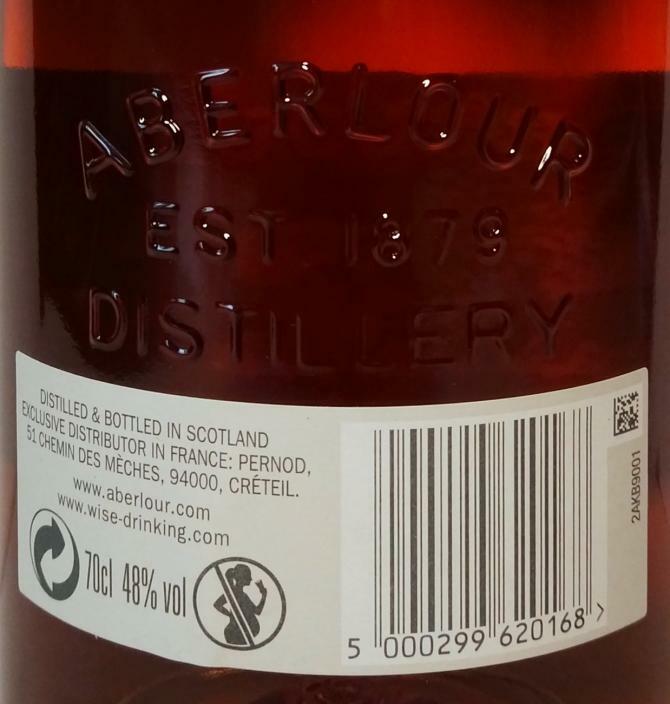 Overall pleasant and very “summer” expression form Aberlour, which is reasonably priced in addition. 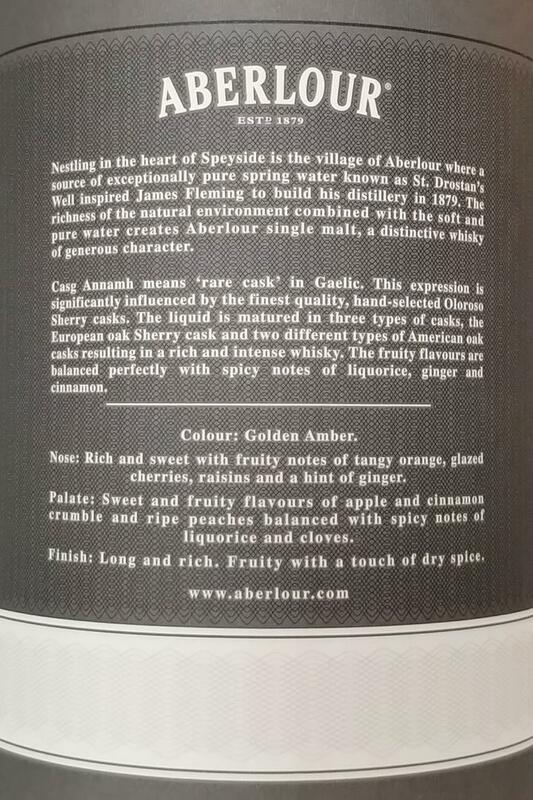 A young and good Speyside Single Malt!